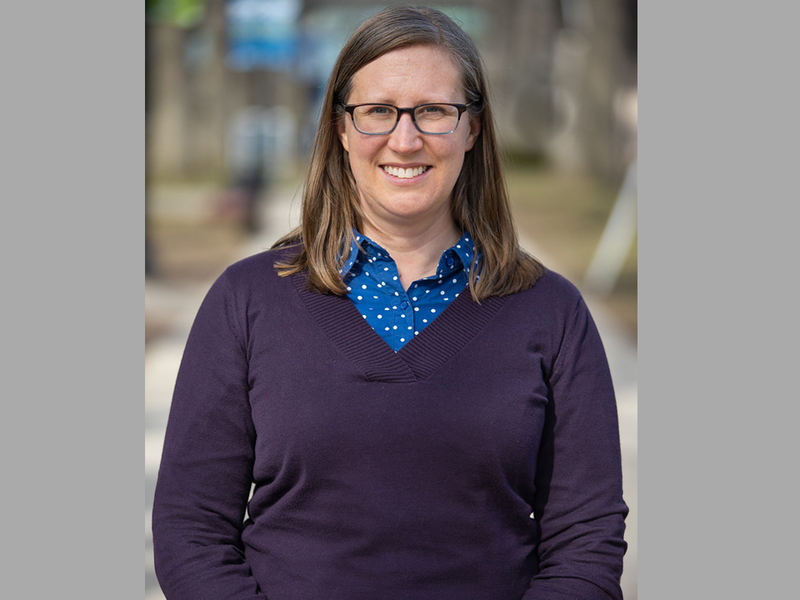 BRONX, NY — Megan Owen, an assistant professor in the Department of Mathematics at Lehman College, has earned one of the most prestigious career advancement awards offered by the National Science Foundation (NSF). Owen will receive the $412,038 grant over four years through the NSF Faculty Early Career Development program, which recognizes early-career faculty for their potential to serve as academic role models and advance the mission of their department and institution. Owen is one of four City University of New York (CUNY) faculty members to be awarded this grant in 2019, and the first ever awardee from Lehman. Since 2011, only 19 other CUNY professors have received the same award. The grant will allow Owen to design a multiyear program of research opportunities for undergraduate science, technology, engineering, and mathematics (STEM) majors in connection with her own groundbreaking research in computational geometry and mathematical evolutionary biology. Computational geometry, which is used in a growing number of applications including medical imaging technologies, genomics, epidemiology, and molecular biology, addresses problems in computing geometric shapes and spaces, such as programming a computer to find the shortest route between two points on a map. “Researchers in the area are interested in not only finding a solution, but in finding a fast solution that does not take a lot of computer memory, so that it is practical for large problems,” Owen said. Owen’s grant application, “Statistical and Geometric Analysis for Tree-Shaped Data,” proposed the development of mathematical tools that will accurately analyze information depicted in tree formats, such as evolutionary history of genetic mutation. The history of a flu virus, for example, resembles an evolutionary tree. The educational component of Owen’s NSF award is designed to encourage undergraduate students from low-income and underrepresented groups to pursue a STEM degree and succeed in a related career field. Owen will select a group of eight students from Lehman and Bronx Community College (both federally-designated Hispanic-Serving Institutions) to participate in research connected to her work. Upper-level students majoring in math and computer science will also serve as paid research assistants in Owen’s lab, while freshmen will participate in a special semester-long guided research experience conducting computational experiments, simulations, and data analysis, supported by a $1,500 stipend. In addition, Owen will use the grant to develop material to enhance two existing mathematics courses in Lehman’s new data science minor. Owen credits her participation in 2017 and 2018 CUNY Advanced Science Research Center NSF grant writing boot camps for the success of her proposal.